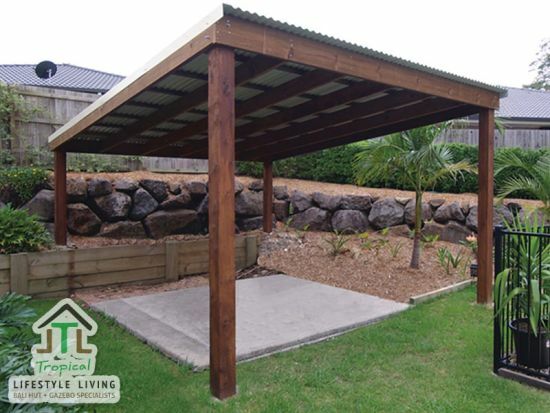 A pergola is an outdoor structure that a lot of people can add to their property to provide a good amount of shade. 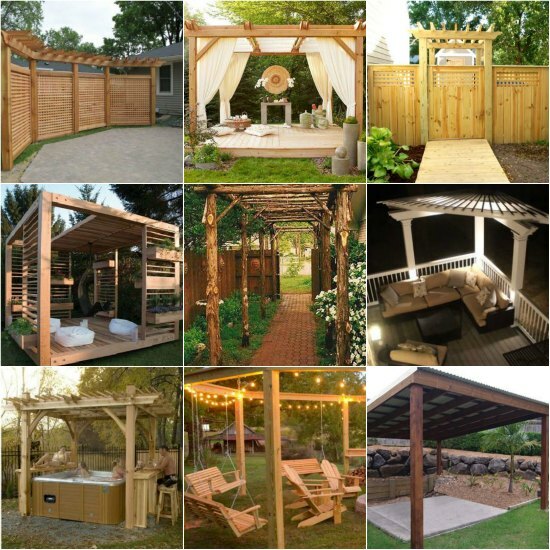 If you want to build your own as a DIY project, then check out these pergola plans and ideas for your property. 1. 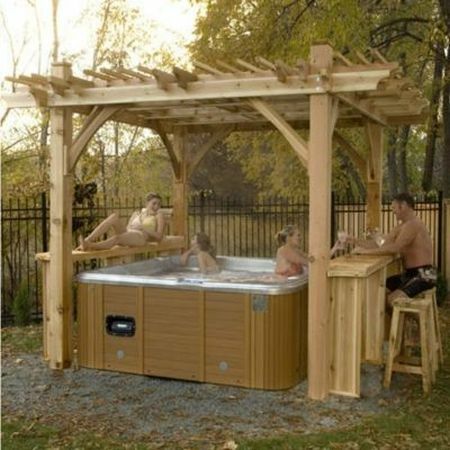 Build a pergola to use as a cover for your hot tub. 2. 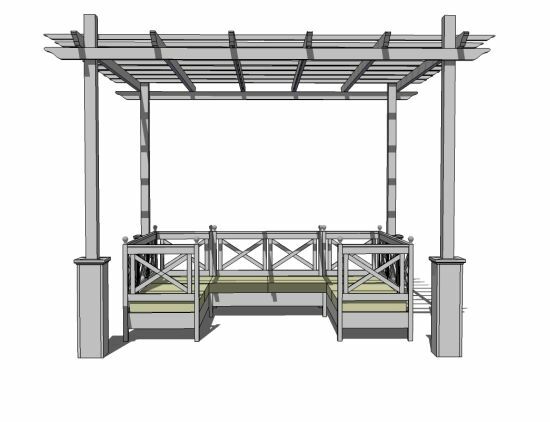 Here are plans for a weatherly pergola. 3. 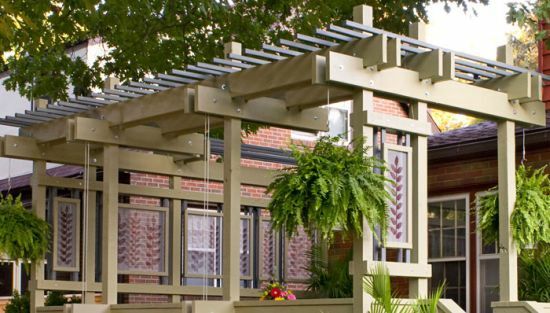 Build a pergola for your deck that has custom plant hangers. 4. 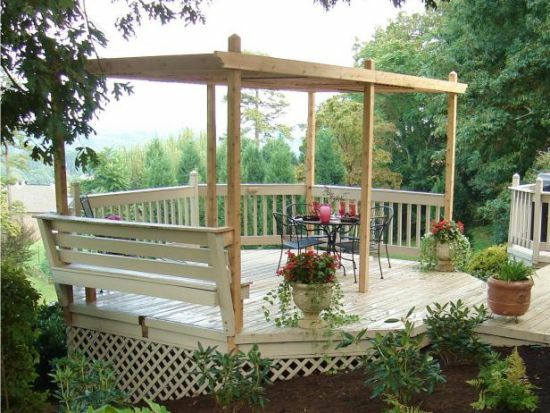 Add a custom pergola that will fit on your deck. 5. 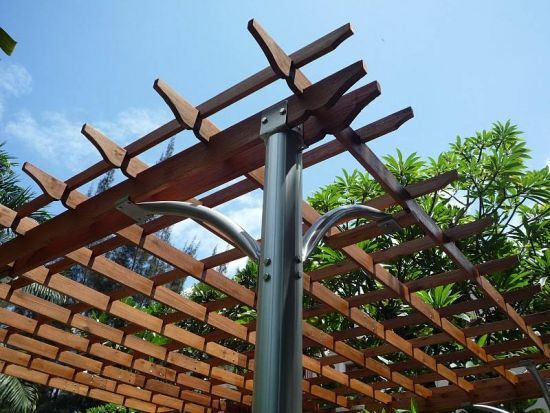 How about a pergola that has aluminum posts? 6. 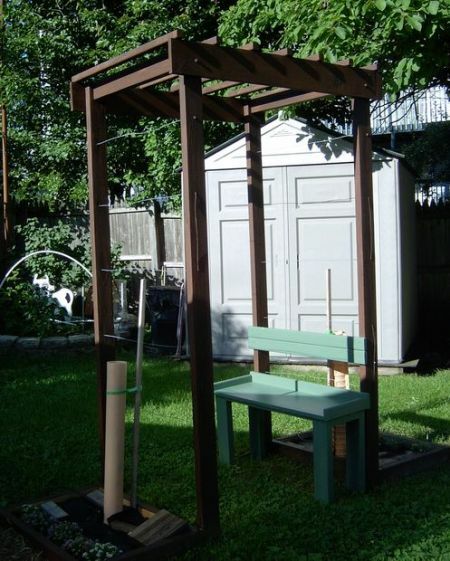 This is a small pergola for grapes with a custom bench. 7. 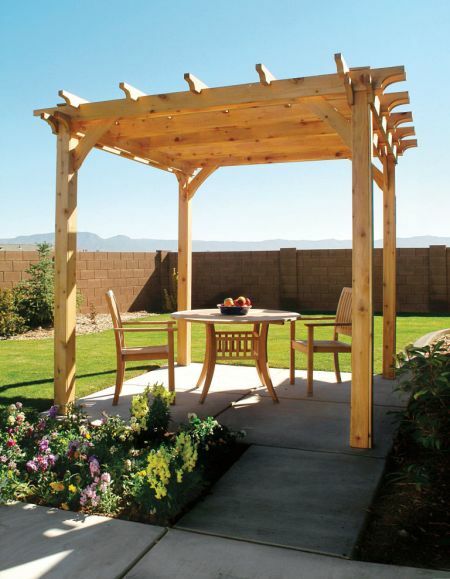 Add a custom pergola to your patio. 8. 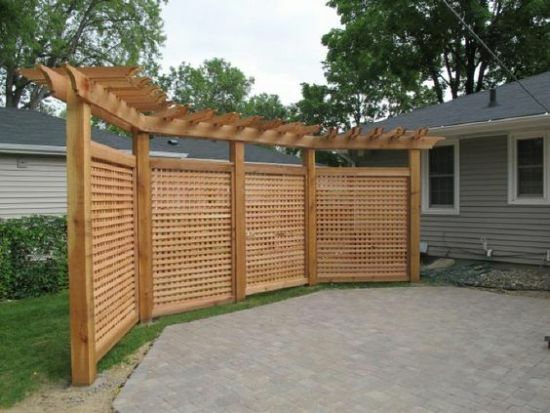 Here are plans to build a free-standing pergola privacy fence in your backyard. 9. 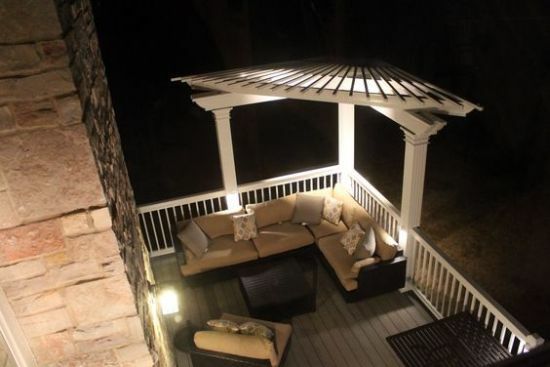 How about a pergola that includes a custom canopy? 10. 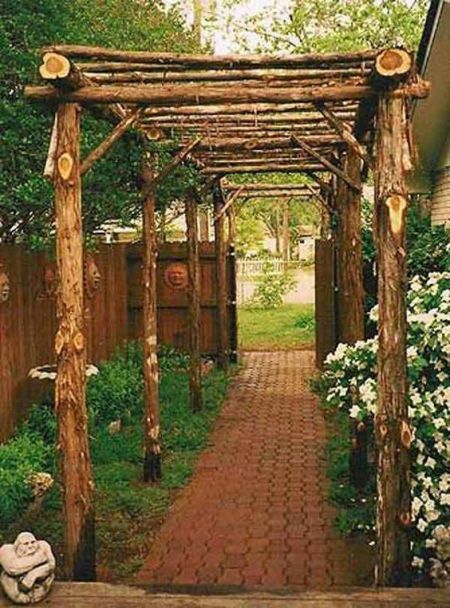 This is a great way to build a pergola that is completely rustic. 11. 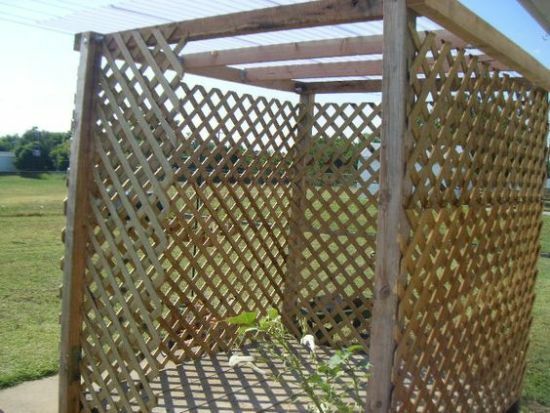 Build a pergola enclosure with lattice. 12. 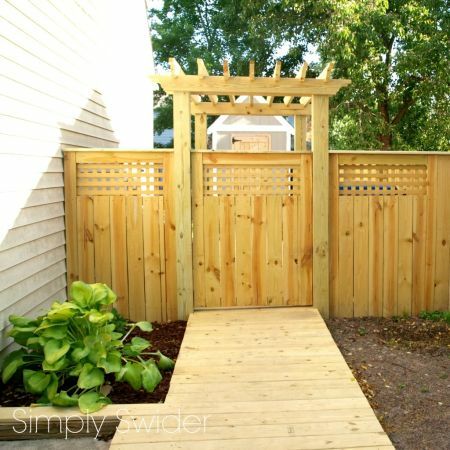 How about a custom entrance into your backyard. 13. 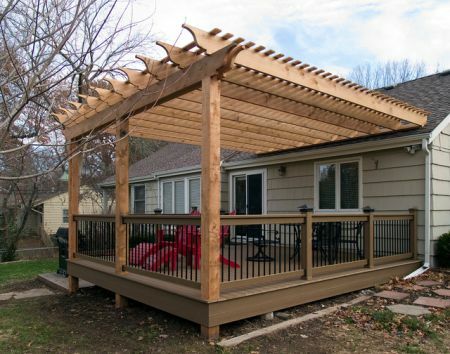 Build a pergola that will cover your deck. 14. 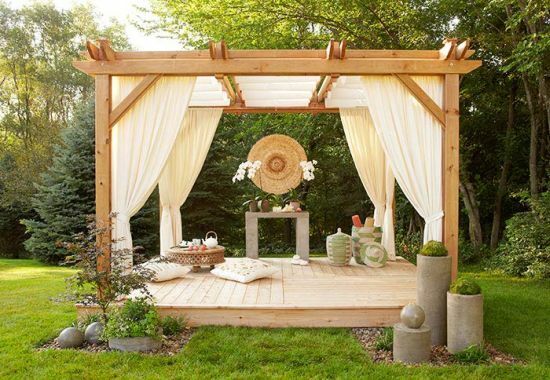 This could be the perfect pergola for your backyard. 15. 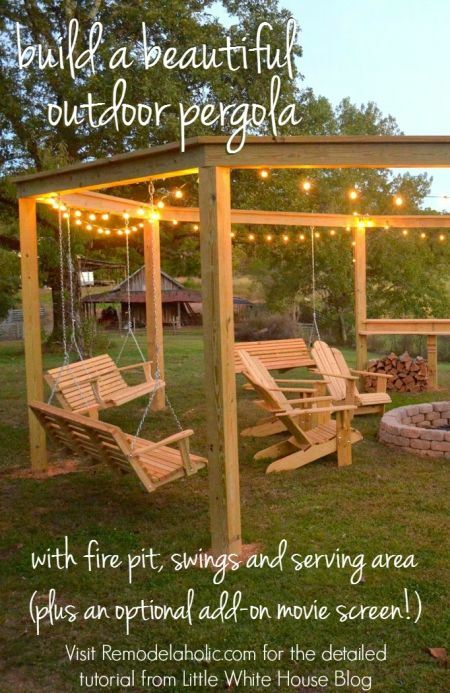 Here is a corner pergola that you can add to your deck or patio. 16. 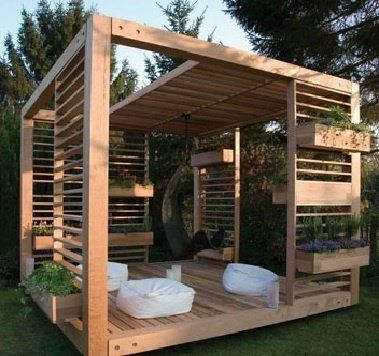 How about this interesting pergola design? 17. You can even build a square pergola with a metal roof. 18. 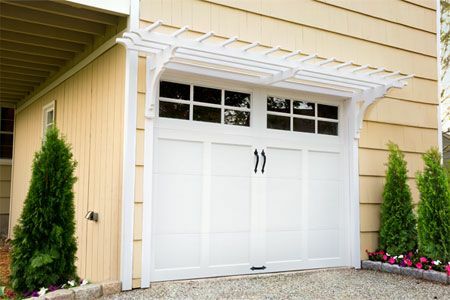 There is also this type of garage pergola.